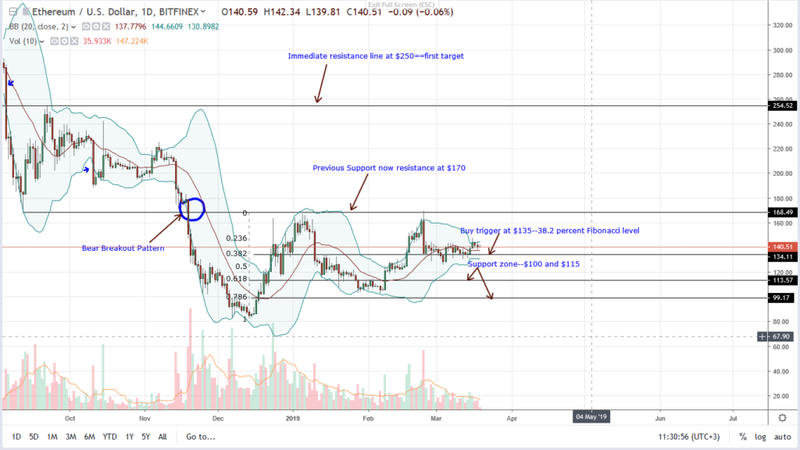 Despite our Ethereum (ETH) optimism, the failure of bulls to reverse Feb 24 losses three week after print out is negative. In that case, ETH short-term bulls should continue loading up in lower time frames with targets at $170. After that, risk-averse, conservative traders should add their longs with modest targets at $250. Before then, reaction at $135 should be actively tracked.